Stay tuned for upcoming events for Musical Night with Bohemia in near future. 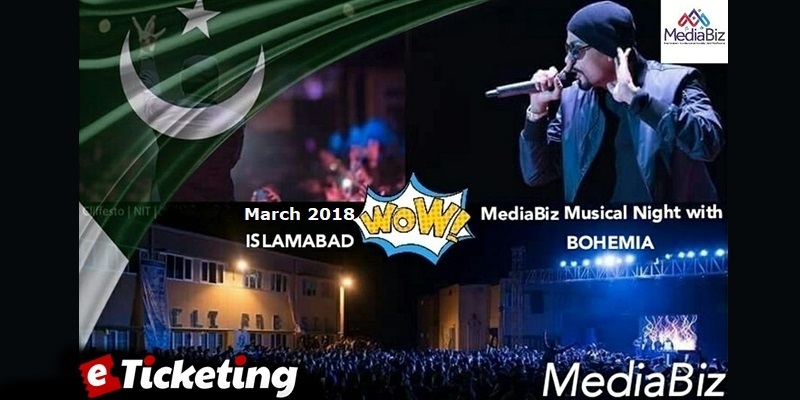 Musical Night with Bohemia will be held (To Be Confirmed) at The Rock Musicarium, Islamabad. The King of Punjabi Rap BOHEMIA will perform live. This rocking concert is being organized by MediaBiz. Bohemians and other music fans in Islamabad and nearby cities get ready for this extravaganza gig. Enjoy the spellbound session of hip hop music on MediaBiz Musical Night with Bohemia. Best Viewed at 1024 x 768 pixels and above. This Page loaded in 0.06301 seconds on Tue, Apr 23, 2019 (21:50).